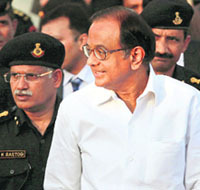 Amid growing concerns over the formation of the National Counter Terrorism Centre (NCTC), Union Home Minister P Chidambaram today wrote to 10 non-Congress Chief Ministers, assuring them that the Central Government wanted to work with the states to fight terror. Minister of State in the PMO V Narayanasamy today reiterated Prime Minister Manmohan Singh�s charge that US-aided NGOs are re-routing the funds obtained from abroad to fuel agitation against the opening of the Kudankulam nuclear power station in Tamil Nadu. He also added Scandinavian countries to the list of sponsors of such NGOs. In a scathing criticism of the Union Government, eminent aerospace scientist Roddam Narasimha, 78, today said that the action against former ISRO chairman Madhavan Nair and three others in connection with the Antrix-Devas agreement prompted him to send his resignation to the Prime Minister. 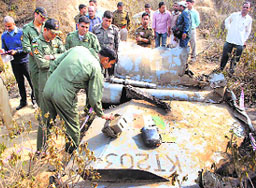 A Mirage 2000 fighter, flown by Air Marshal Anil Chopra and Wing Commander Ram Kumar, crashed on Friday near Bhind in Madhya Pradesh. Italy today sought ballistic examination of the weapons used in the killings of two Indian fishermen by Italian Navy personnel off the Kerala coast last week after New Delhi made it clear that the Indian law would prevail in dealing with the case. A district court in Bihar awarded death sentence to two persons and sentenced five others to life imprisonment, holding them guilty of abducting Ravinder Singh, an engineer from Punjab and his associate Jarnail Singh from Haryana for ransom. 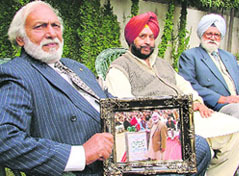 In a gesture that will go a long way in strengthening Indo-Pak relations, Member of Provincial Assembly in Pakistan Shazia Ashfaq Mattu has named a road after a Sikh landlord, Pritam Singh Bhinder.